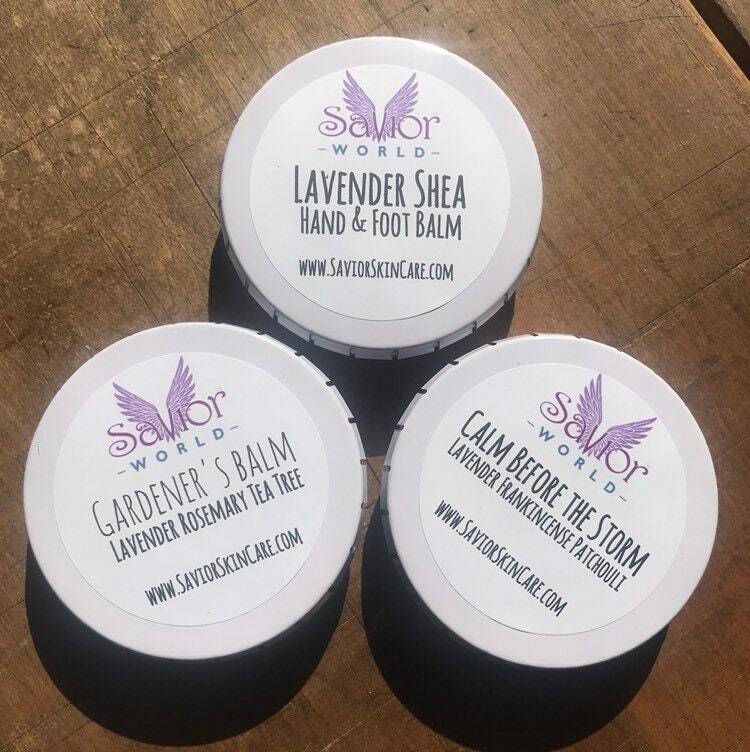 Fair Trade Organic Shea Butter, Beeswax, Organic Sunflower Seed Oil, Organic Olive Oil, Organic Pumpkin Seed Oil, Meadow Foam Seed Oil & Organic Castor Oil to protect your hands this winter from the harsh weather & dry months. This is also wonderful for clearing up chapped, cracked & split skin. Comes packaged in a 3oz Metal Reusable Tin. When Ordering Custom, Put in Message the Scent you would like, I can also do a blend of the above.